A motorcycle is a two-wheeled vehicle which uses an automotive engine to power itself. So, generally, most motorcycles around the world use a petrol engine for this purpose. Earlier, the motorcycle manufacturers offered a Two-Stroke/Spark Ignition (SI) engine for the motorcycles. Nowadays, they use a Four-Stroke Spark Ignition engine for the purpose due to emission control regulations. A commuter bike is an entry-level, basic motorcycle designed for the day-to-day traveling. Generally, the motorcycle manufacturers divide the motorcycles into four main categories. They are - the Commuter bikes, Sports bikes, Cruisers, Adventure bikes & Tourers. There are many other sub-categories such as the standard, café-racers, and street bikes etc. However, many bikes fall into these four main categories based on their design/shape, construction, and application/usage. The commuter bikes are the ones which can be used for daily commuting of a short distance ranging from 20 km to 50 km. So, depending upon the traveling distance, the manufacturers offer different engine capacities for these motorcycles. Thus, the entry-level motorcycles are those with engine capacities of less than 150 cc and power output upto 10 bhp. 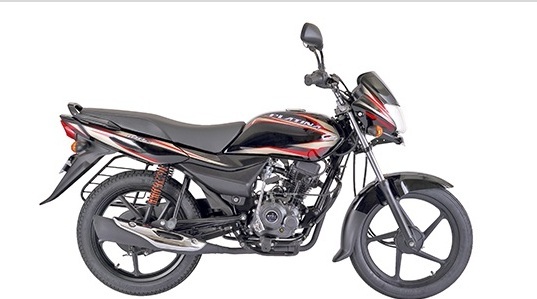 However, the premium commuter motorcycles offer engine sizes from 150cc – 200cc which offer more power & torque. Often, the commuter bikes have a simple design/shape and manufacturing process. So, technically, they are cheaper to make than other types of bikes. The commuter bikes have higher mileage and lower maintenance. Primarily, their focus is on the fuel economy. Some manufacturers provide special features such as the Idle-Start-Stop-System (i3S) to further improve the bike’s average. So, some of these commuter bikes deliver an average of upto 100 Km/L. Nowadays, the manufactures install different technologies to improve the bike's performance. For e.g. TVS uses the 'Ecothrust' technology to reduce friction inside the engine while Yamaha uses Diasil Cylinder to improve the engine performance. Similarly, Bajaj uses ExhausTec technology that improves 'scavenging' process that pushes the exhaust gases out of the cylinder. These bikes also have inexpensive and durable spare parts. Hence, they do not have other niggling issues to deal with. The commuter bikes are the most affordable motorcycles to buy and operate. Hence, the commuter bikes are more popular in the developing countries such as India, Pakistan and other South Asian countries. Some other bikes are also considered commuter bikes depending upon the amount of power and torque they produce. 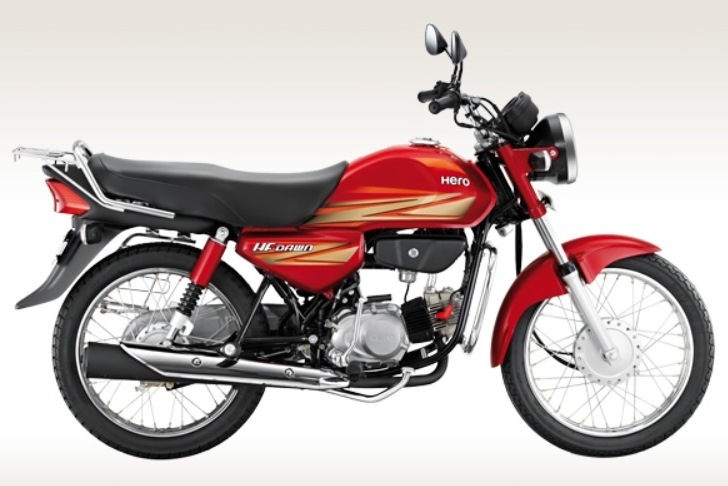 For example, Hero HF Deluxe, Hero HF Dawn, TVS Star City+ and Bajaj Platina are simple commuter bikes. However, Hero Passion Pro, Hero Splendor iSmart, and Bajaj Discover are premium commuter bikes. The Honda Unicorn which has a 160cc engine also falls in the premium commuter bike segment. Generally, the premium commuter bikes offer higher power & torque, trendy colors, and sporty design/style. To summarize, the commuter bikes carry out the day to day commute without any hassles. They can also negotiate the stop-and-go traffic quite well. However, they offer limited comfort, safety, and other useful features. So, they are ideal mainly for the intra-city travel. Some premium commuter bikes offer better suspension, safety, other useful features and trendy colors. Hence, they are costly. Thus, fancier and feature-laden the bike gets; it commands a higher price-tag. However, the commuter bikes are not ideal for long-distance commuting because of the limited safety, inadequate suspension, lower ground clearance and insufficient braking ability. Hence, most people use them only within the city areas for the day-to-day commute. Hero Motocorp, Bajaj Auto, TVS from India and Honda & Yamaha from Japan are some of the most popular manufacturers of the commuter bikes in the world. Home » Technical Anatomy » Commuter Bike: Why Is It Popular In The Developing Countries?